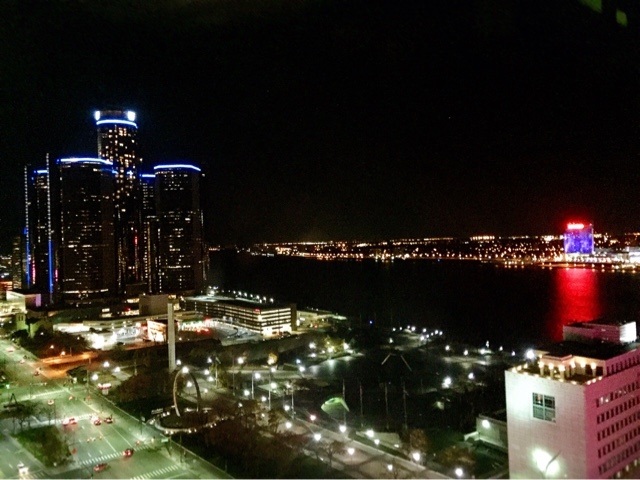 If you read my previous post about my trip to Toronto, you know Detroit was my second stop to my birthday week. Toronto was completely new to me but Detroit happens to be a former home. I lived there a few years ago and to this day, consider myself an ambassador for Detroit, constantly working to change the image of the city. I can’t count how many people asked, “Detroit? For fun? Why?”. There’s no denying there are some dangerous areas around Detroit but what major city doesn’t? I certainly know that Los Angeles has some shady areas I would never even consider driving through, yet Los Angeles doesn’t have the stigma Detroit does. I’ve been wanting to go back for a few years now. I lived there probably during one of their economically worst years but they have recently been labeled the “Comeback City”. Detroit used to be one of the most happening cities in the United States and when you’re downtown, you can feel the the vibe of what used to be. 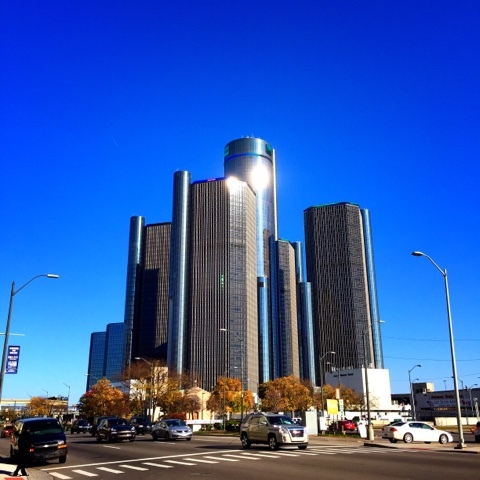 I stayed at the Crowne Plaza hotel in downtown Detroit by the river. The location is amazing and it doesn't hurt that it has been renovated recently. It's a block from the water, adjacent to the Cobo Center and a quick 10 minute walk to the Joe Louis Arena where the Detroit Red Wings play. 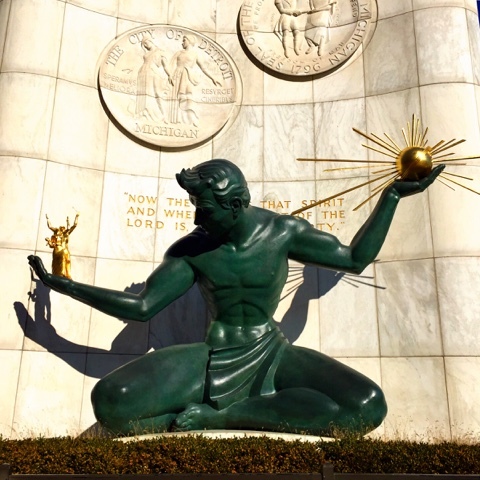 It's also walking distance to some of the most famous Detroit monuments like the Spirit of Detroit, the Giant Fist, the Renaissance Center (the GM building) and the Transcending. Not to mention the stunning view of Canada from your hotel room across the river (crazy, isn't it?). 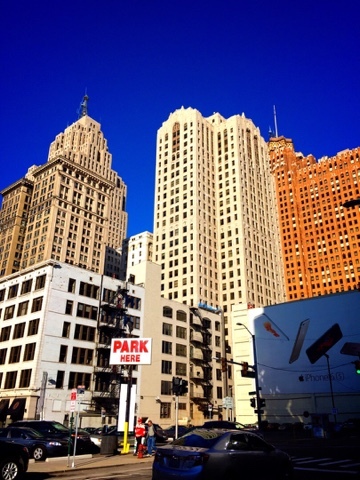 Downtown Detroit has so much charm compared to other metropolitan areas. There are several high-rise buildings that are completely abandoned; am I the only one that finds that kind of magical? 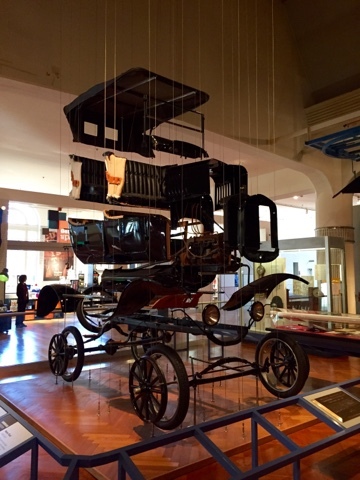 Henry Ford Museum - This place is in the top 3 favorite museums of all time for me and I'm not even into cars! It's very interactive, informative and extremely visual. The space is beautifully curated and there are some things there that blow your mind. 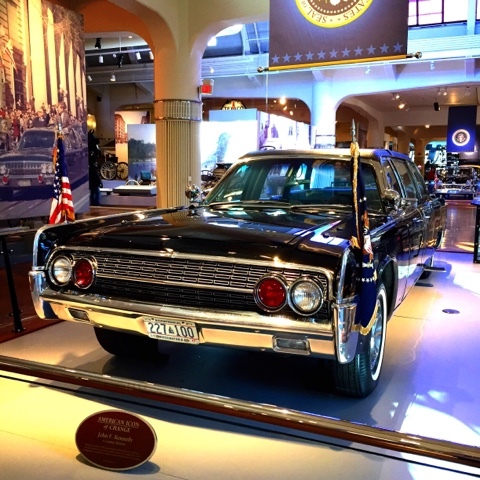 For example, President John F. Kennedy's limousine which he was assassinated in is there. Does that not blow your mind? Or if you're a car geek, one Bugatti out of only 6 in the world worth millions is there for your viewing pleasure. 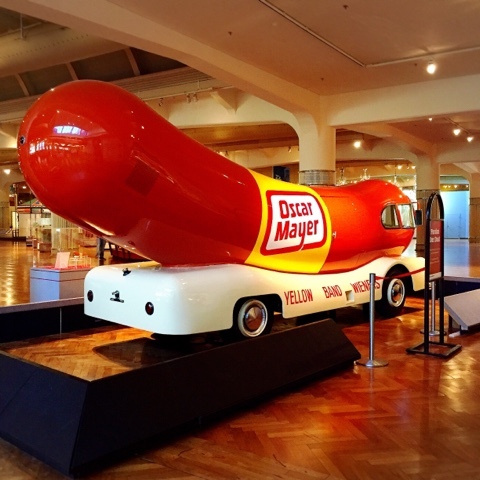 Let's also not forget the fun Weinermobile! The museum is huge and I suggest dedicating an entire day there, especially if you're going to sit through an IMAX movie and venture through Greenfield Village (more to come) as well. 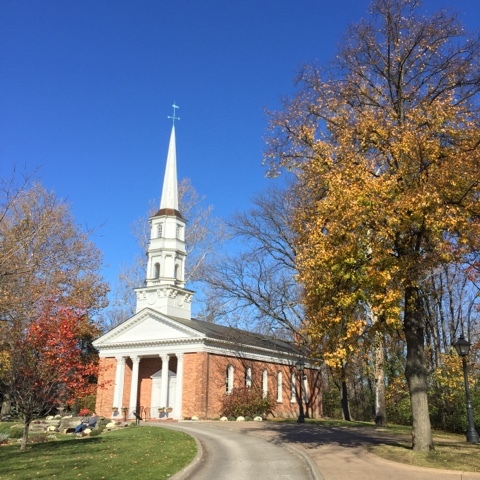 Greenfield Village - Unbeknownst by many, there's another museum on the same property called the Greenfield Village. It is an outdoor museum or village, per se, that you can walk through or take the train or a private Model-T's through. 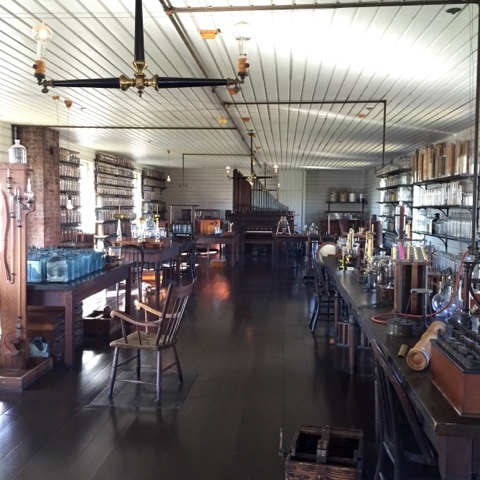 It's set up as an old village with amazing artifacts like Thomas Edison's actual home he was raised in, Henry Ford's actual home, Thomas Edison's laboratory, Robert Frost's actual home, Noah Webster's (yes, the dictionary) actual home, the Wright Brother's bicycle shop and the list goes on! There's such a huge difference from reading about it or seeing pictures to physically being inside someone incredibly influential's home or work-space. Another fun part for foodies is the Taste of History Restaurant where they serve food from way back when. The Joe Louis Arena - Yes, I have to plug my favorite boys, the Detroit Red Wings as they played a huge part in my birthday travels this year. The Joe Louis Arena is 36 years old, the 3rd oldest NHL arena and one of only 2 arenas that are not sponsored by a corporation. A little hockey knowledge for you, the Red Wings are 19 time division champions, 6 time conference champions, holds 6 President's Trophies and 11 time Stanley Cup winners - oh and let's not forget they are part of the Original Six. 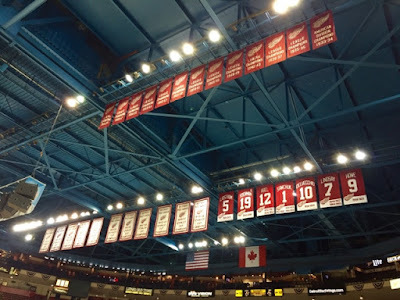 The Joe Louis Arena will be no more in the next year as the city of Detroit is in the process of building a new arena, so it was a sentimental game for me as well. 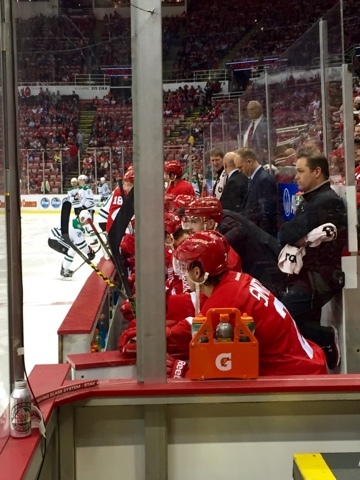 I was gifted glass seats for my birthday and had the most amazing experience. I'm always surrounded by enemies when I cheer on the boys here in Southern California so it was nice to be making friends and feeling like a part of a big ol' family. They boys were right there! From the mysterious abandoned buildings to the loud sound of goal horns, the mini burgers from White Castle to the bridge that connects the city to Canada, this is really only a short list of what I find is worth seeing in Detroit. Michigan offers so much more than its image; the Upper Peninsula to be one with nature, Traverse City during the Cherry Festival, Frankenmuth for the largest Christmas store in the world, Ann Arbor for one of the most rowdy college football games you'll ever attend. I hope that if anyone ever gets the opportunity to go there, that they'll enjoy it for what it truly is, a beautiful, historical city and state. My best friend studied for 4 years in Ann Arbor and I visited her twice, but I didn't visit Detroit! I asked if there was a way to go by train or bus from Ann Arbor (on my own, since my friend was busy) but the reply was "no way". So the only thing I saw in Detroit was the airport!! Sounds like a fun city, and it's so cool that you can see Canada from your hotel hahaha!